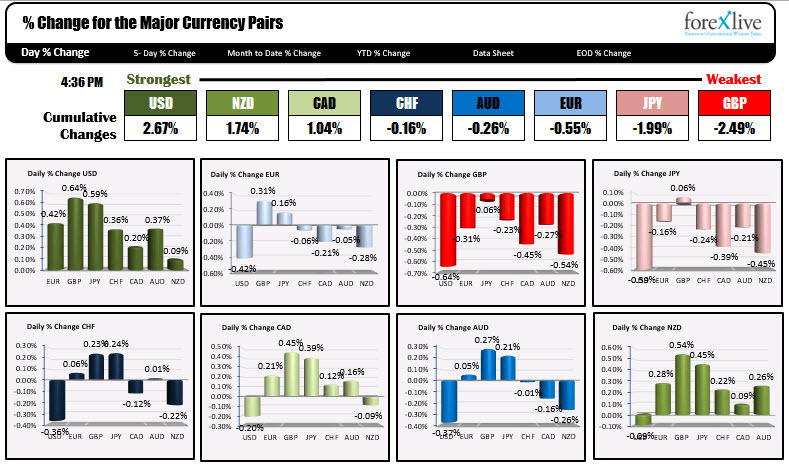 Looking at the winner and loser in the forex market to day, the USD was the strongest, while the GBP was the weakest. Today's flows seemed to be a flight into the safety of the dollar. The GBP suffers from the fear from Brexit (and more bearish technicals). The EUR is underpressure from slower growth and a no-deal Brexit is no good for their economies too. The USDJPY trended higher today (lower JPY) helped by higher rates. The price moved to the highest level of the year.